The Goodyear G159 tire has been linked to at least 10 deaths. The U.S. Department of Transportation’s Office of Inspector General has opened an investigation into an allegedly defective Goodyear Tire & Rubber Co. RV tire that’s linked to nearly 100 injuries and deaths. 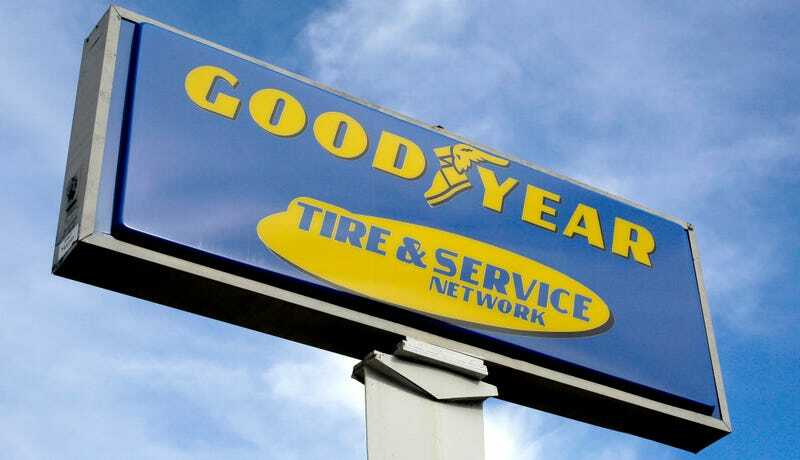 Goodyear is already facing an investigation and a maximum $105 million fine over the tire, the G159 275/70R 22.5, from the the National Highway Traffic Safety Administration, which is focusing on whether the company failed to properly report crashes to federal regulators. While the OIG is also part of the Department of Transportation, it is an independent law enforcement agency and, unlike NHTSA, its team includes criminal investigators that can refer cases to the U.S. Department of Justice for criminal prosecution, as well as civil fines. The disclosure of the probe came in response to a Freedom of Information Act request filed earlier this month by Jalopnik. The request sought records dating back to Jan. 1 from the inspector general’s office pertaining to the tire. The OIG denied the request, citing an exemption under federal statute that “protects information in law enforcement files” related to ongoing proceedings. A Goodyear spokesperson, nor the U.S. DOT, immediately responded to a request for comment. The OIG said it doesn’t comment on ongoing investigations. It’s unclear how long the probe has been ongoing. The OIG has oversight of auto safety and previously assisted investigations of major auto scandals, including the deadly Takata airbag inflators and the General Motors ignition switch fiasco. The OIG says its top priorities include crimes with a public safety impact and consumer and workforce fraud. Goodyear has been facing increased scrutiny over the G159 tire ever since NHTSA launched its probe at the beginning of the year. NHTSA has been looking into claims that the G159 was prone to heat-induced failure when used on RVs at highway speeds. The alleged defect in the tire has been been linked to at least 10 deaths and 90 injuries, according to Jalopnik’s ongoing investigation. The G159 was manufactured between 1996 and 2003, and an estimated 40,000 ended up on RVs. Court records indicate the tire failed on as many as one-in-10 motorhomes—a failure rate that surpasses the infamous Firestone tires of the 1990s. Goodyear increased the G159's speed rating from 65 to 75 mph in the late 1990s, even though its own tests showed it wouldn’t have satisfied internal standards for qualifying at that speed. Following the change in 1998, failure claims increased rapidly, records show. No safety recall has ever been issued. Goodyear has previously said that it doesn’t believe the tire is defective, and the company says it’s fully cooperating with authorities. In the early stages of an investigation, the OIG says, any allegations that appear to be criminal in nature will be referred to the U.S. Department of Justice for consideration of a prosecution. If the DOJ accepts the referral, the OIG works in coordination with the department on the probe. “While Toyota subsequently recalled 5.4 million vehicles to address the pedal entrapment defect—as well as another 4.5 million vehicles to address a separate defect in the accelerator pedal—Toyota ultimately admitted that it had concealed and made deceptive statements about safety issues affecting its vehicle,” the OIG said in a 2015 report. Attorney David Kurtz, who has battled with Goodyear in court for more than a decade over a serious 2003 crash involving an Arizona family, praised the disclosure of the probe on Monday. Last week, Goodyear reported an uptick in profits in the second quarter of 2018, citing growth in international markets. In a conference call on Friday with analysts to discuss the results, the government’s investigation into the G159 went unmentioned.